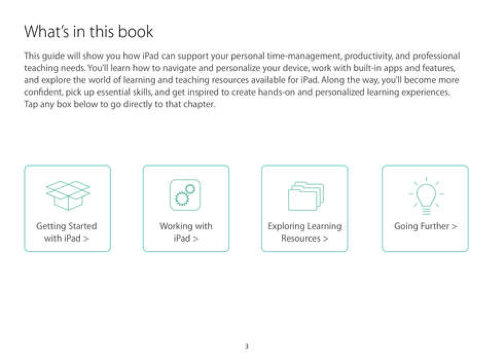 This book is a step by step guide on how to use the many tools of the apple product. There are visual guides as well as step by step guides. The chapters are set up to walk you through from the start to the last bit of resources. There are also videos to show more demonstrations. This book was very helpful for knowing how to navigate my classes when I read in iBooks and for easy tools to help me go from app to app. ,By reading the iPad starter guide I have learned things I already know, as well as new tasks that could be useful when teaching. 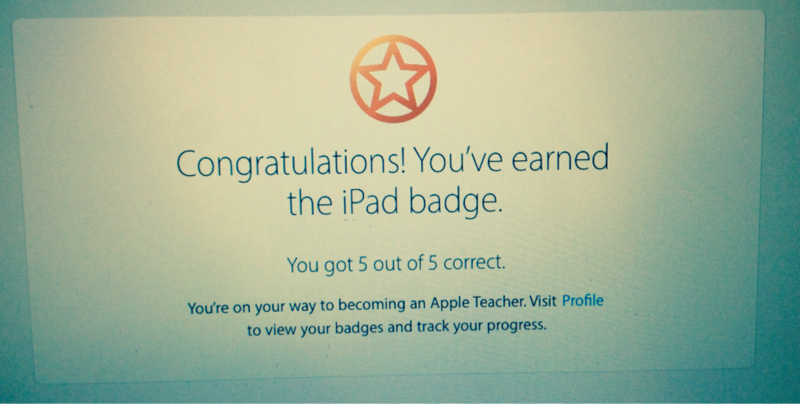 There are tools on the iPad that can help with time management, productivity, and professionalism as a teacher. The clock is a great example of time management. By swiping up the screen, starting at the bottom, there is easy access to a clock and air play monitoring. Air play monitoring, or air drop, can allow a teacher to launch something she wants the students to see on close devices. I can also manage my time by being able to switch screens by double clicking the home button and see two screens at once by sliding my finger right to left. I can have the students be productive by looking for creative apps to engage them in the lesson, or I am aloud to have them view a place in Maps by clicking the "3D Flyover Tour." On an iPad, students are able to save notes by highlighting them in the books, and saving them to either the notes in the iBook or notes the app. The iPad comes with an app that has the latest news articles. They can write a short review in notes by reading their favorite topic. They search for key words in the "News" app by clicking the plus sign. Teachers can practice professionalism with using iPads by creating links for students to go on, or having the apps already downloaded. Also, the teacher can use airdrop to share ideas and make comments. As you can see, the iPad is very resourceful for teachers.